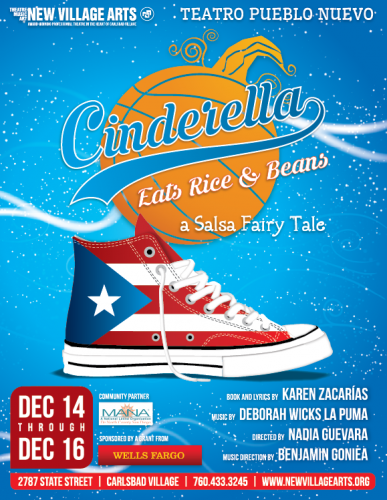 This productions is part of Teatro Pueblo Nuevo (TPN), a new community outreach initiative celebrating the biculturalism and bilingualism of Carlsbad and North County. We will be partnering with the North County San Diego chapter of MANA, whose mission is to empower Latinas through leadership development, community service, and advocacy. This is accomplished through their Hermanitas Mentoring Program. This production is completely free, but donations will go to support TPN and our education & outreach programs. Sponsored by Wells Fargo and The Loftin Firm.